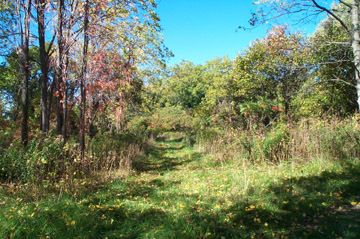 This is the north end of the "Screaming Tunnel" as seen from Warner Road. 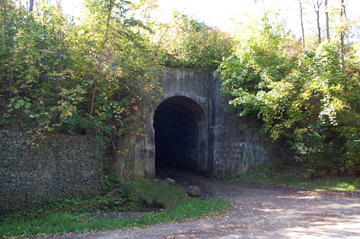 The tunnel was built under what is now the main Canadian National Railway line and was to be part of a railway that would run parallel to the Welland Canal. The railway was never built, but the tunnel is still there. 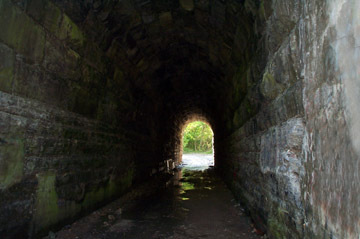 This is the view looking southwards into the tunnel from Warner Road. 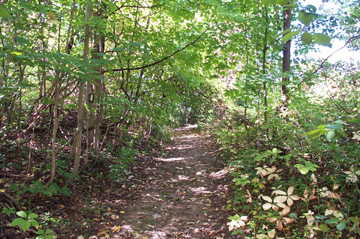 On the south side of the tunnel, a path leads up a small hill. According to legend, there was a farm house on the top of the hill on the south side of the tunnel. The house caught fire, and a young girl ran down the hill presumably to get help. There must have been a spark on her clothing which is said to have burst into flames when she was in the tunnel. The unfortunate girl burned to death; and her dying screams can be heard to this day if one lights a match in the tunnel after dark - - - or so the story goes. 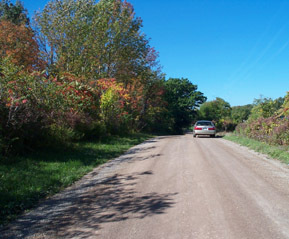 This is the area at the top of the hill where the farm house is said to have been located. 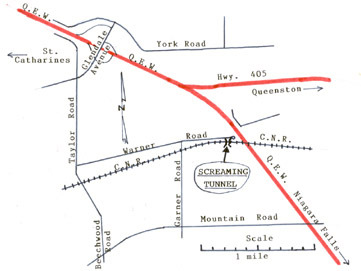 Here is a map showing the location of the "Screaming Tunnel". Park in the turn around at the end of Warner Road. You can then "zoom out" to get a better idea of how to get there. 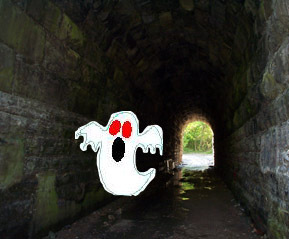 There are many web sites about the Screaming Tunnel. Try going to http://uk.yahoo.com and search for "screaming tunnel".